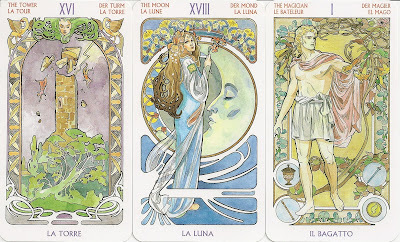 The Primavera Tarot was also called Tarot Art Nouveau, but there is another deck by Matt Myers called the Art Nouveau Tarot. 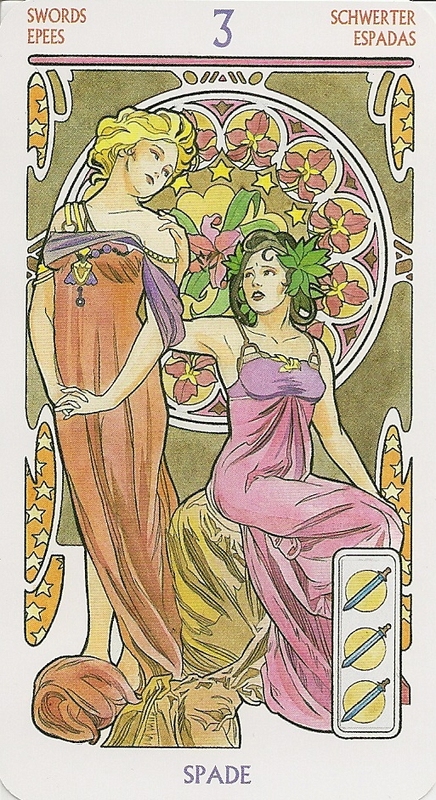 The Myers deck is less representative of art nouveau and shows mainly influence of stained glass design, while Castelli's tarot looks like the works by Alphonse Mucha and Aubrey Beardsley. 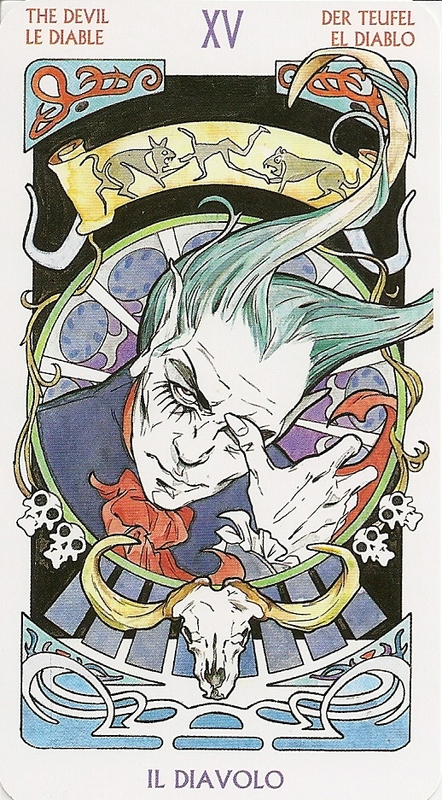 The cards are are elegant, flowery and ornate, the minor arcana do show a distant influence from the Waite-Smith designs. People, which are the focus of the deck, are uniformly young and attractive. The colours are soft greens, blues, pinks, and yellows, inset into a white border. The main title, in Italian, is purple; other language titles are pink. There are Knights and Knaves, rather than Prince and Princess or Knight and female Page; but the Kings all have women beside them who appear to be consorts, whereas the Queens are alone. 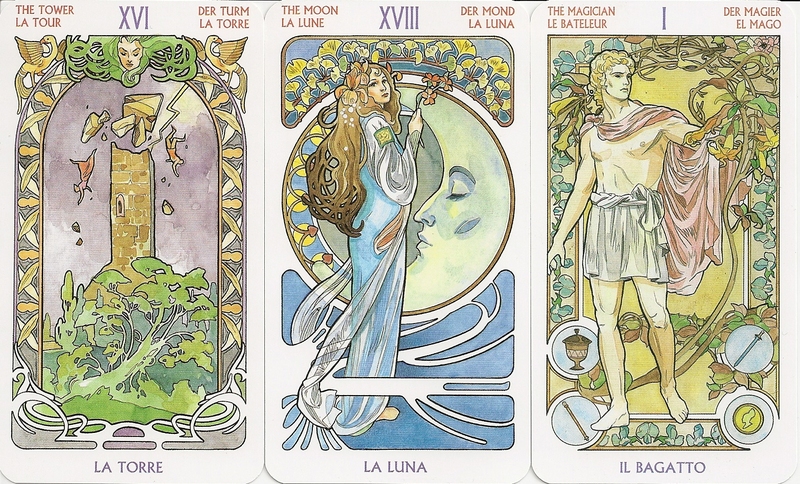 Most of the minor arcana cards have only women in them. Death is female and Strength is male, the rest of the majors adhere to the genders usually assigned to them. There were no deeper esoteric meanings, no associiations with Kabbala, Numerology or Astrology. The deck comes with a lwb that gives very brief card meanings.